There are only two FDA approved medications clinically proven to treat hair loss: Propecia® (finasteride) and Rogaine® (minoxidil). Propecia was developed to treat male pattern baldness on the vertex (back of head) and mid-scalp area (middle of head) in men only. Propecia should not be used by women or children. There is not sufficient evidence that Propecia works on receding hairlines. 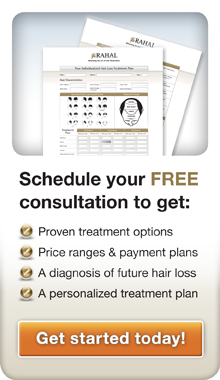 In 1997, the U.S. Food and Drug Administration (FDA) approved Propecia, the first pill to treat male pattern hair loss. Propecia is a tablet taken once a day and is available by doctor’s prescription only. Scientists have discovered that dihydrotestosterone (DHT) is a key factor in male pattern baldness. DHT is a substance found in the body that can shrink the hair follicle until it no longer produces visible hair. Propecia blocks the formation of DHT and inhibits the development of male pattern baldness. Propecia is extremely useful for men who want to slow down progressive thinning. An impressive 83% of men in clinical trials maintained or increased their hair count while on Propecia. Men who have early signs of thinning in the back and middle of the head have a better chance to see some benefit. If you’re not willing to take Propecia for 12 months, it’s probably not worth starting. Results take time, and Propecia must be taken on an ongoing basis to maintain the benefit. If the patient stops taking the medication, any hair grown or maintained by Propecia will be lost within one year. Minoxidil has been clinically proven to slow down or halt hair loss in both men and women on the vertex (back of head) and mid-scalp area (middle of head). But it has demonstrated little effect on receding hairlines, the area of greatest concern to most balding and thinning men. In 1998, the U.S. Food and Drug Administration (FDA) approved minoxidil, the first topical solution clinically proven to grow human hair. Minoxidil is sold under a variety of brand names including Rogaine and is available in two strengths: the original 2% solution and the stronger 5% solution for men only. Minoxidil must be used daily and on an ongoing basis to remain effective. 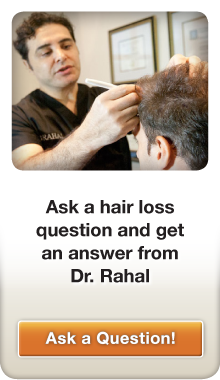 Any hair grown or maintained by minoxidil will be lost within one year if the patient stops taking the medication.